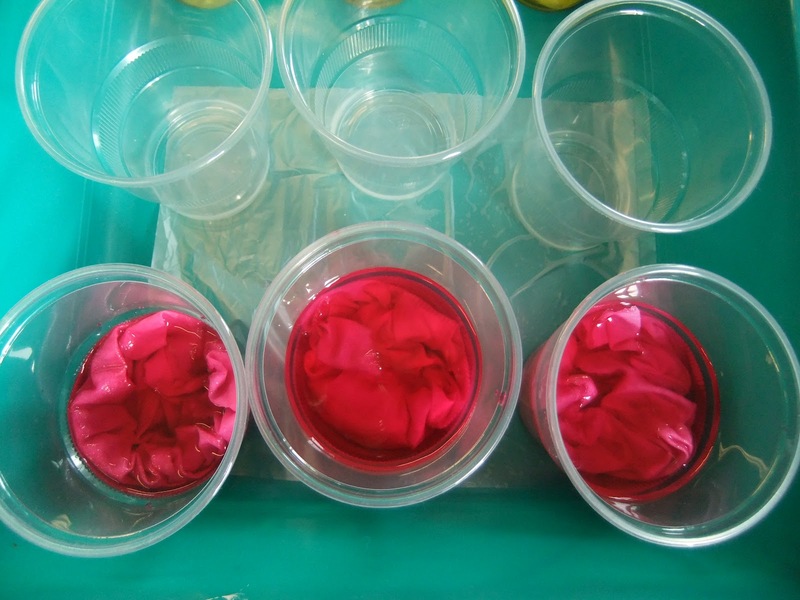 The dyeing workshop was run by Hazel from Cotton Cocktails . 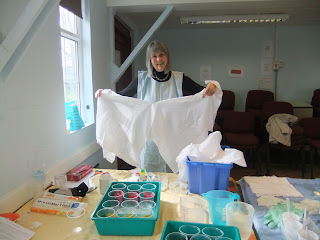 Thanks, Hazel, for a very exciting workshop. 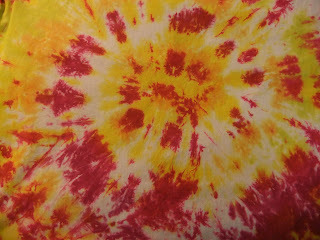 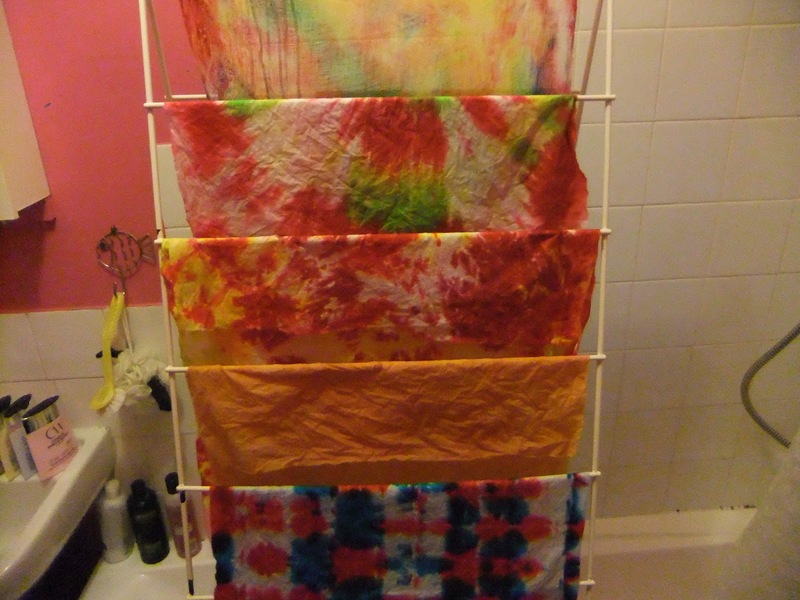 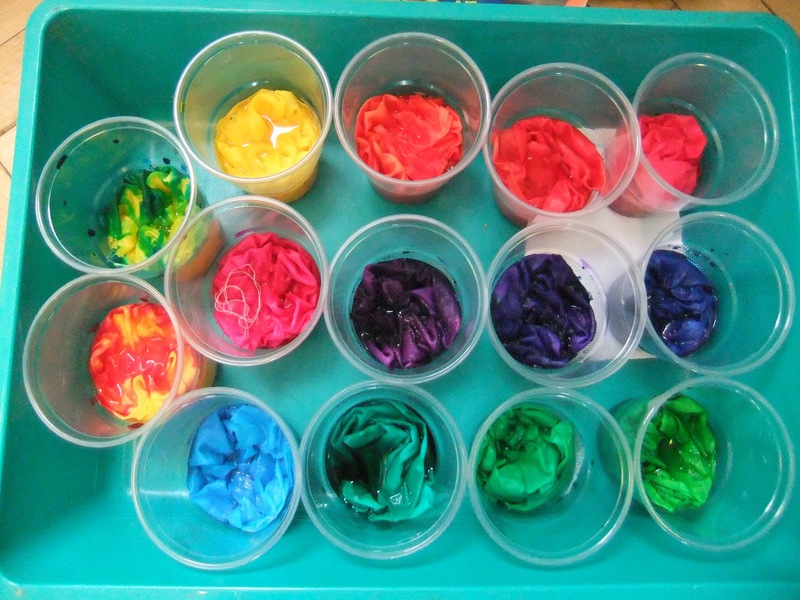 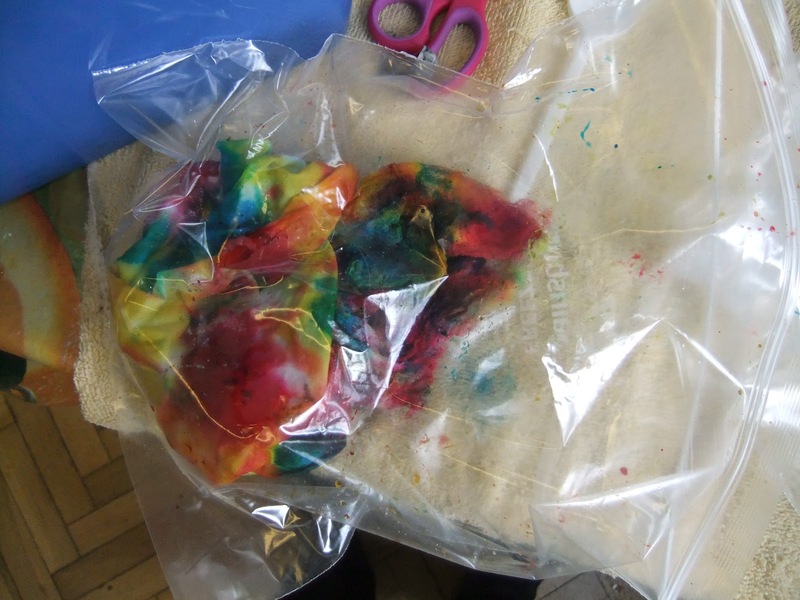 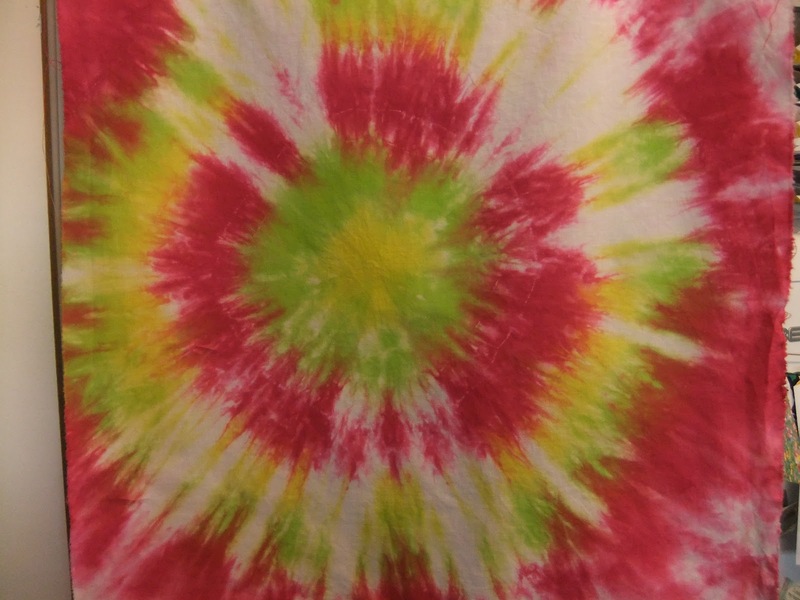 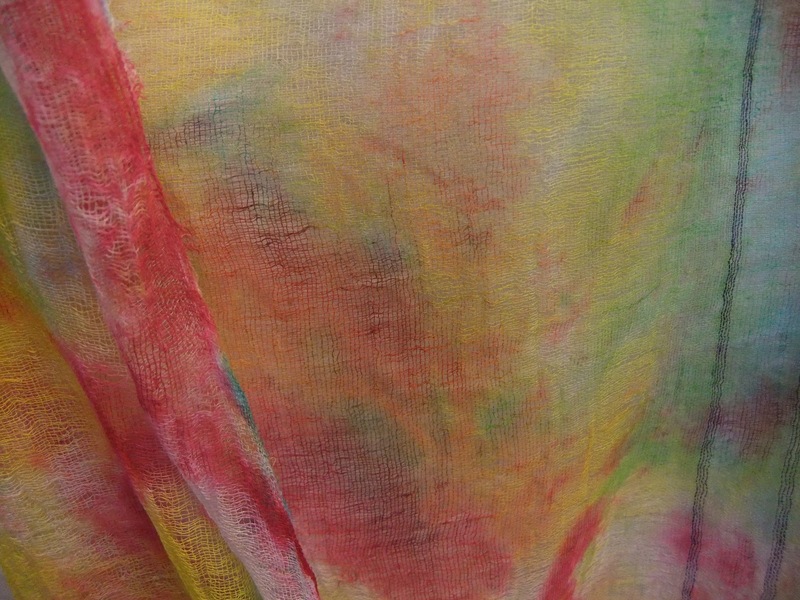 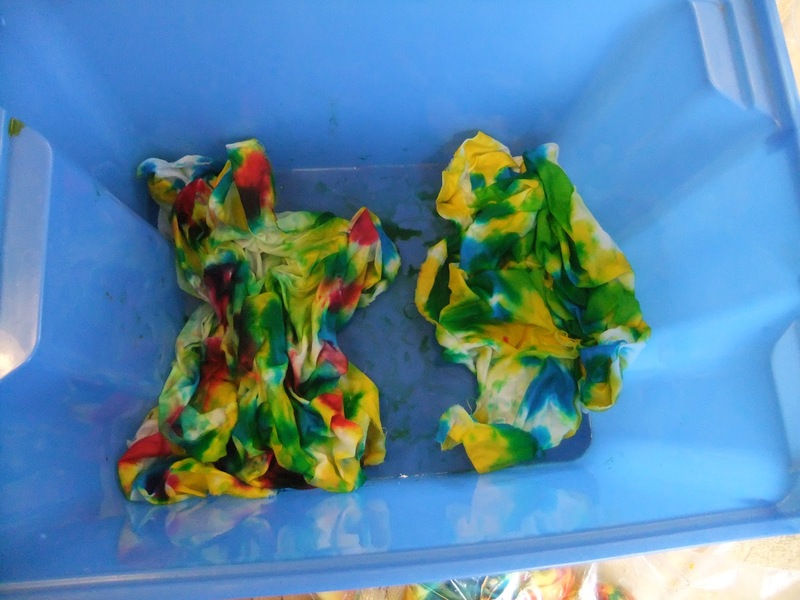 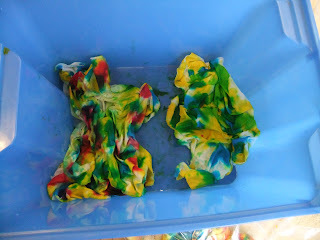 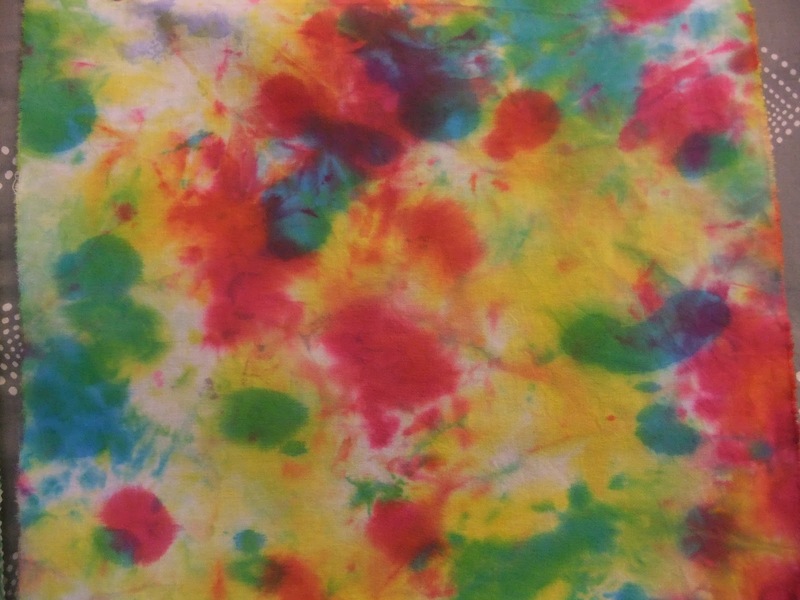 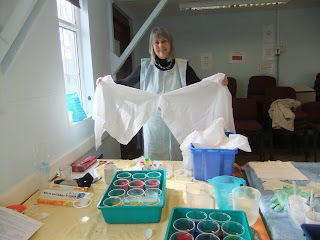 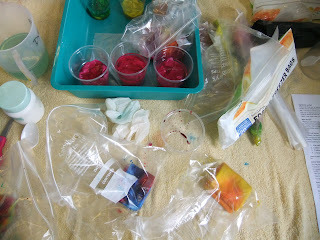 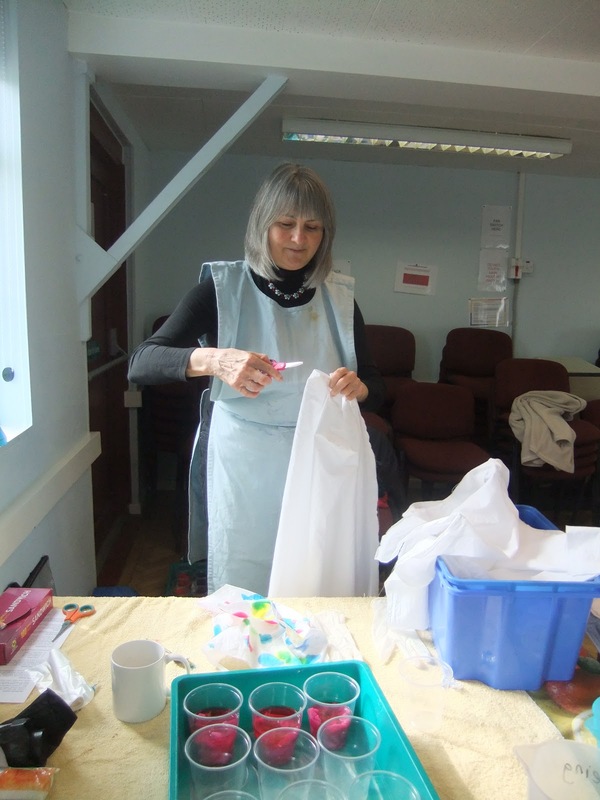 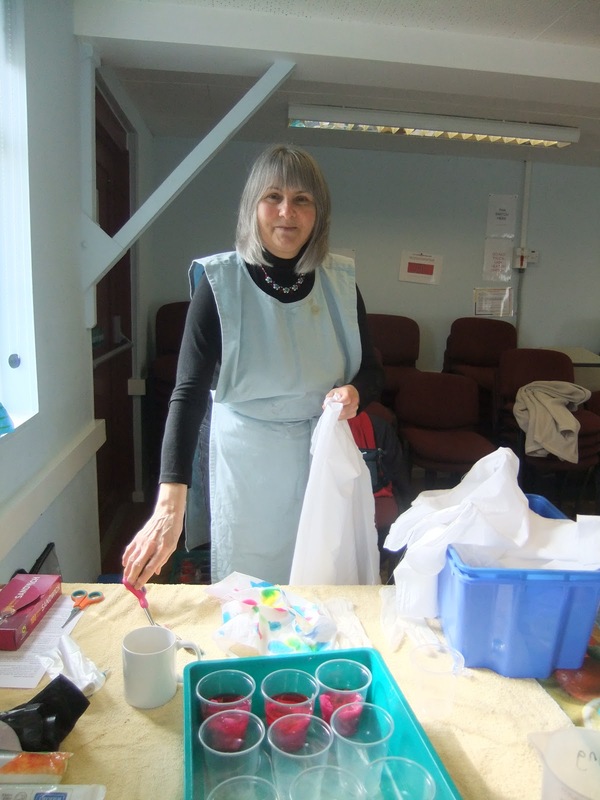 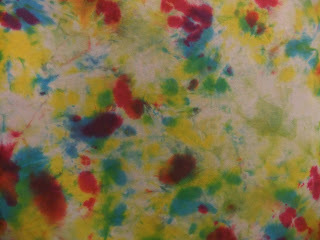 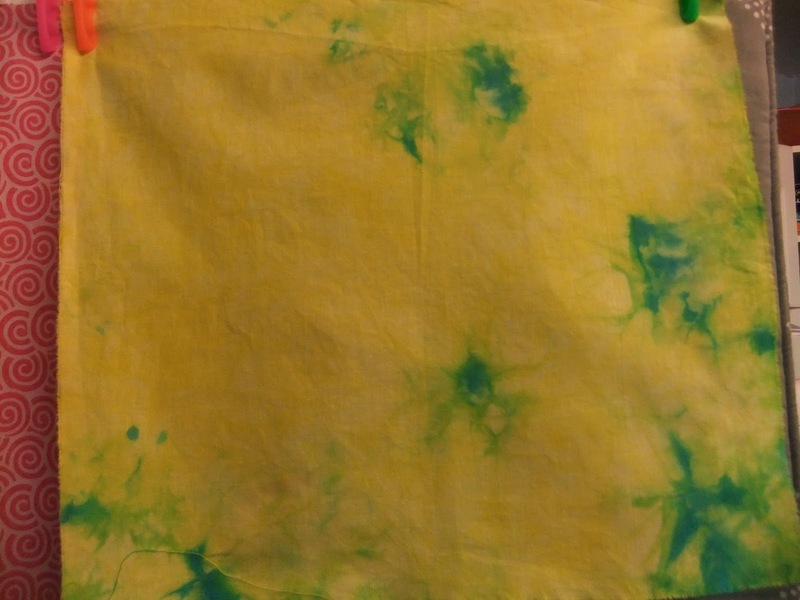 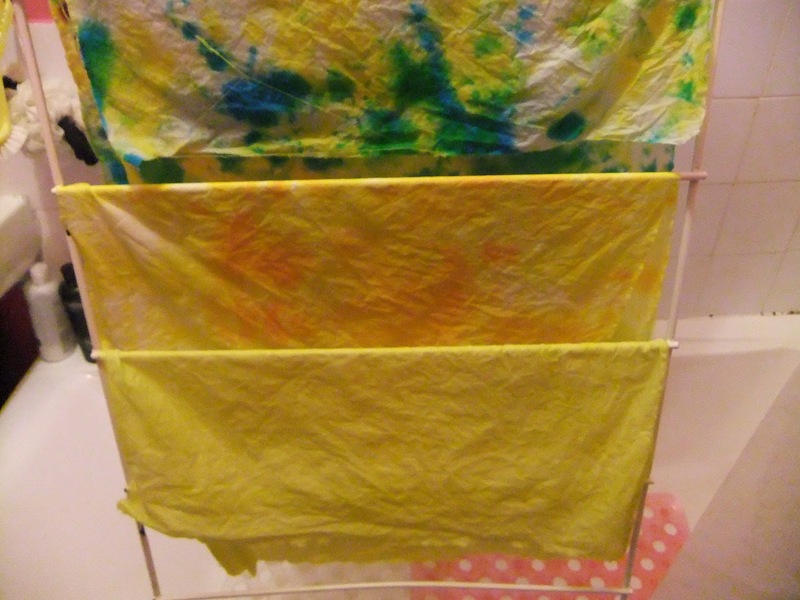 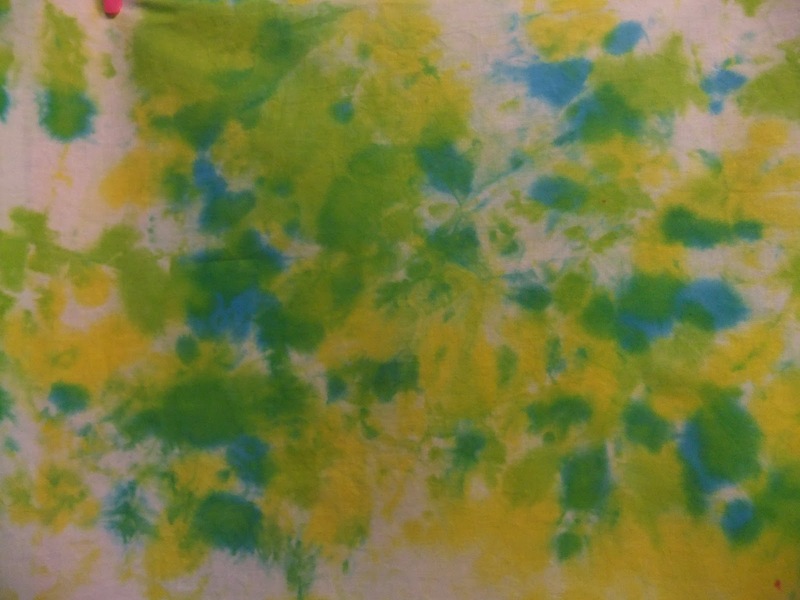 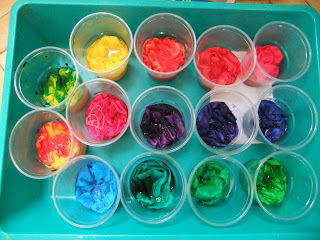 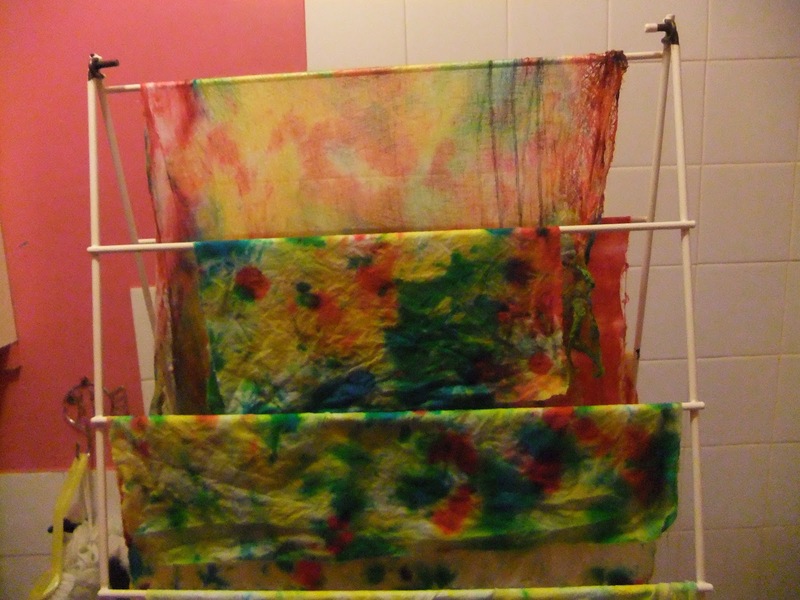 The workshop was suitable for both beginners and the more experienced dyer - some people had brought threads to dye too and different cotton fabrics. 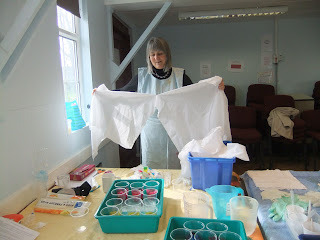 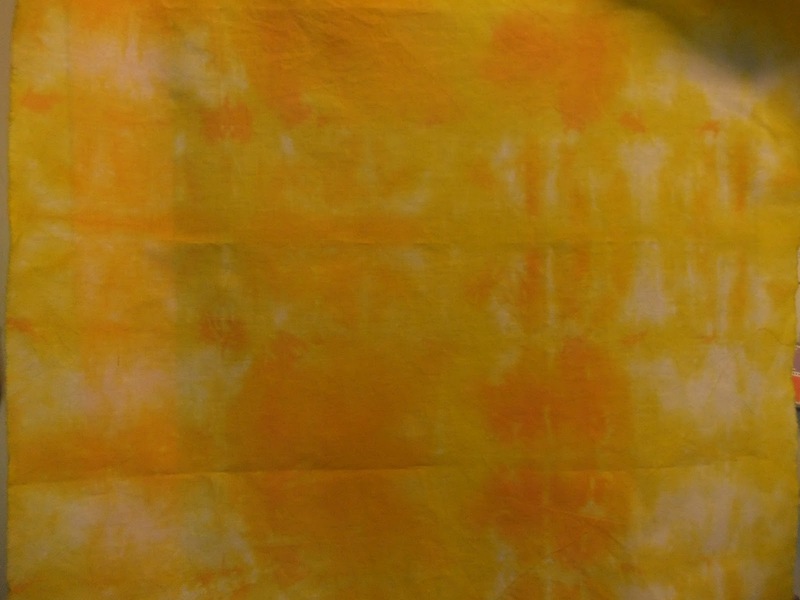 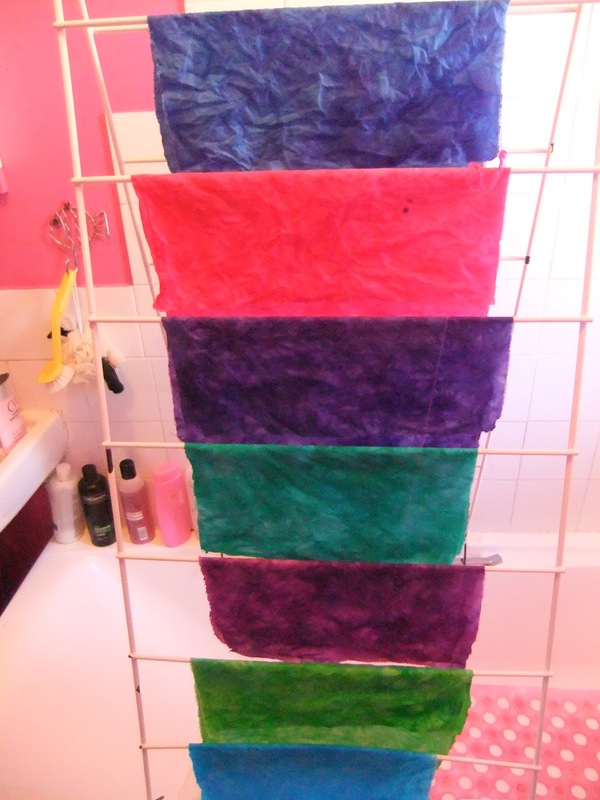 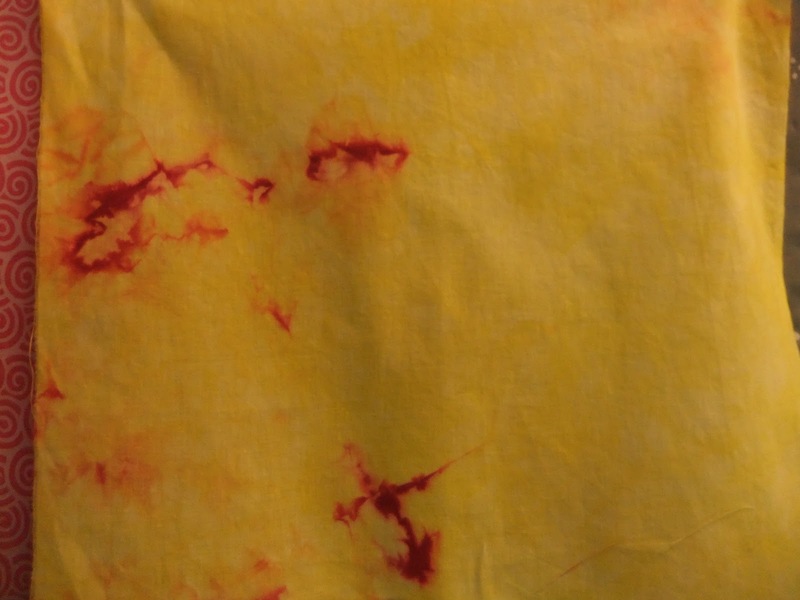 In the afternoon Hazel showed us how to dye silk scarves in the microwave - I didn't do that because its not very vegan.... but it was fascinating to watch and the other course members had terrific results. We started with one of the primary colours in the cups, then added another to it.... We used magenta, turquoise and lemon yellow. 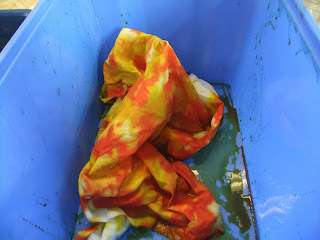 Found your blog - thanks to Hazel. Looks like a fun workshop! 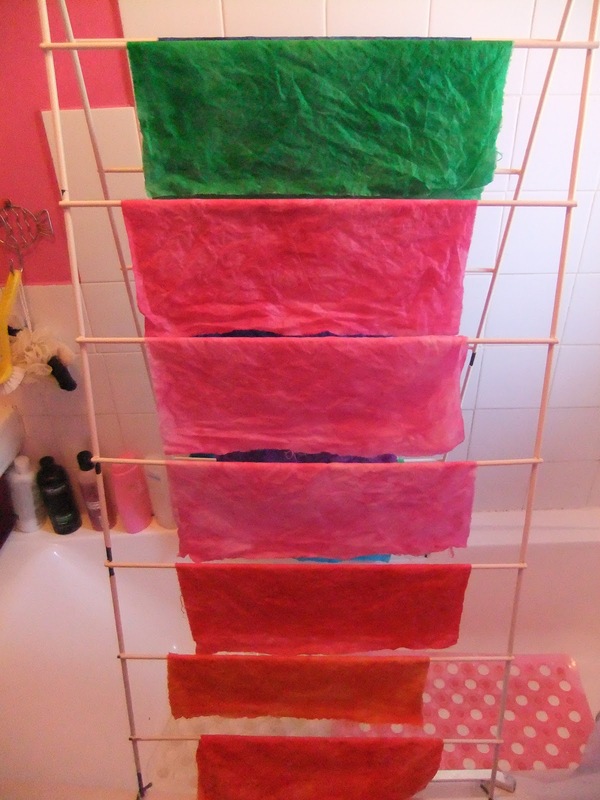 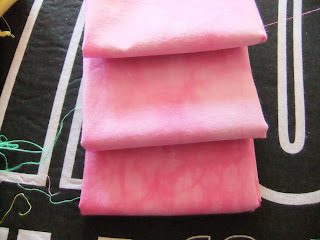 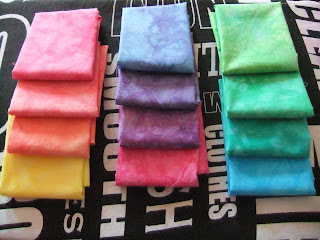 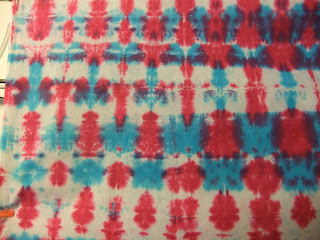 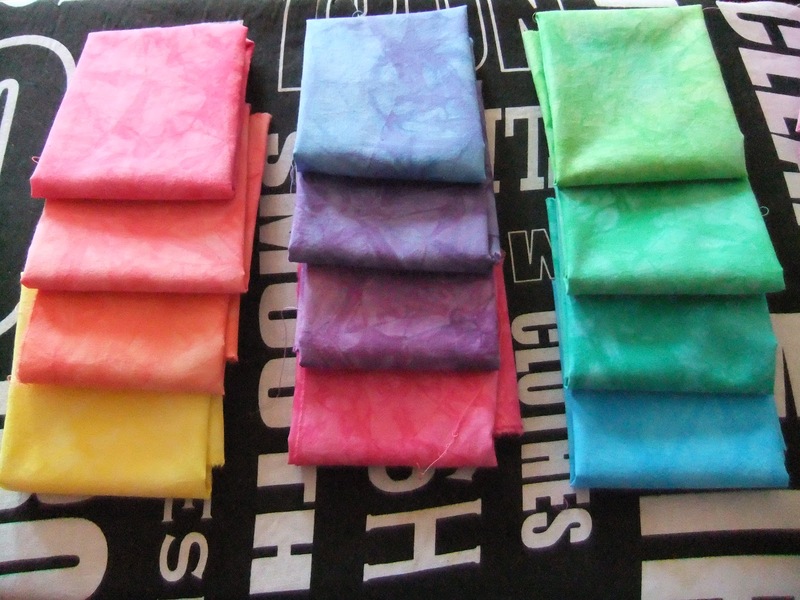 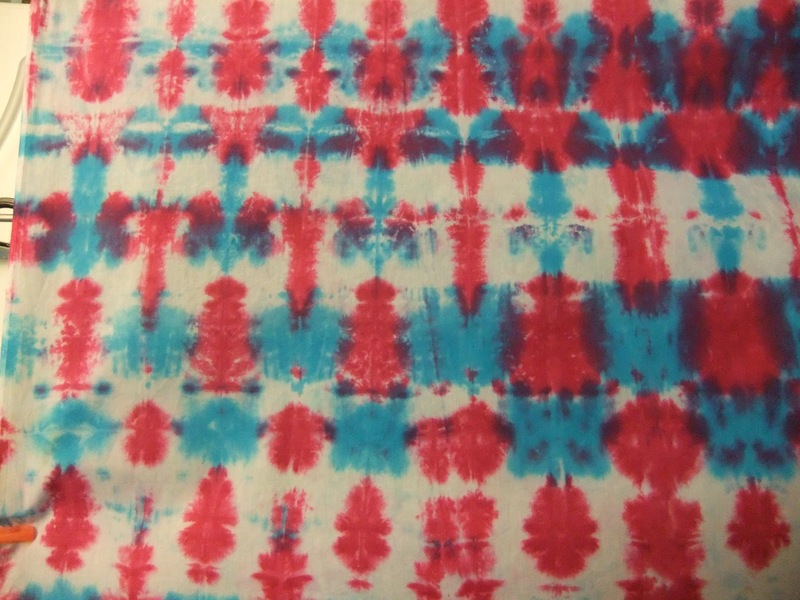 I love your dyed fabrics! I found you via Hazel's blog!